Mind Garden publishes many assessments including the Multifactor Leadership Questionnaire (MLQ), Maslach Burnout Inventory (MBI) and State-Trait Anxiety Inventory (STAI). Whichever path you take, we make it easy to get what you need. 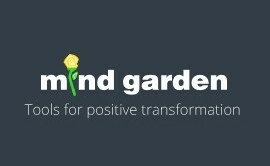 Choose your role to learn how Mind Garden can make it easy for you to get what you need. Mind Garden provides a full range of psychological assessment instruments. Select a title from our list of products. If you’re not sure yet, try using our Topics list. Our psychological instruments cover a wider variety of areas, including leadership, burnout and anxiety. We have instruments to measure many other factors in human behavior, personality, social environments and affect. Use the leading measure of burnout to assess physician burnout and design solutions for your organization. Click here to learn how to use the Maslach Burnout Toolkit, create burnout solutions, prepare your organization for change, and more. After purchase, you’ll receive login instructions and can retrieve your documents or begin using our Tranform™ online survey system.